This was a huge cherry soda stain that one of the employees at DAK Americas created when spilling their drink all over their recently cleaned berber carpets. 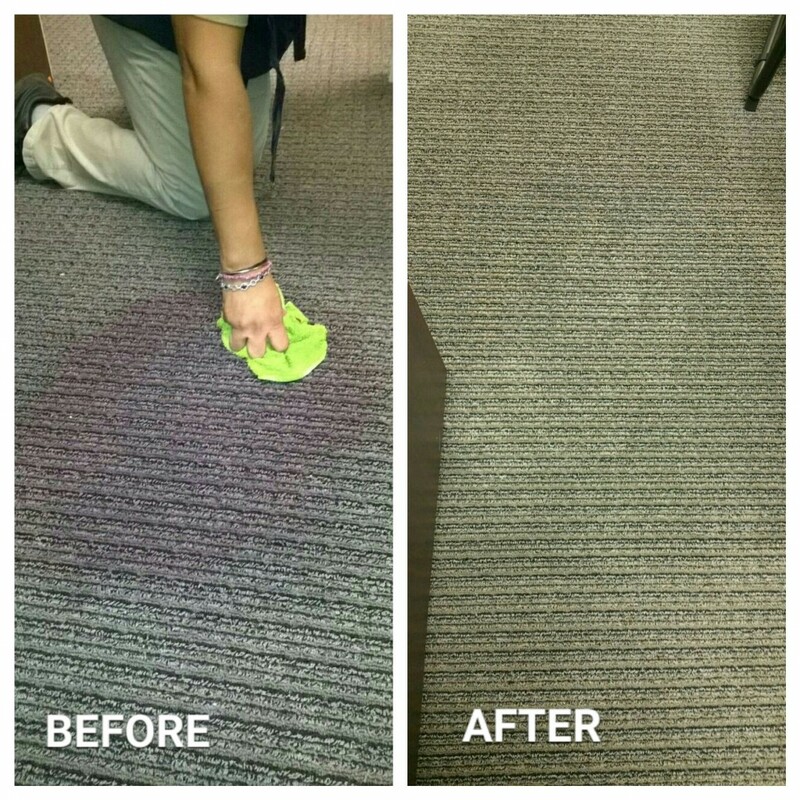 Our technicians went in the same day, after hours, and employed a few different stain removal techniques before lifting the stain. Although cherry soda is known for its stubbornness, by utilizing the correct process, we were able to fully remove the spill.